We have a small herb garden here at the Inn on Mill Creek B&B, at the southern end of the Pool Garden, named for its former life as a swimming pool before it became a garden many years ago. Pinterest inspired us to create the herb garden with pots sunken into the ground so that the herbs stay contained (we’re looking at you, chocolate mint) and so that they can be switched out easily from year to year. 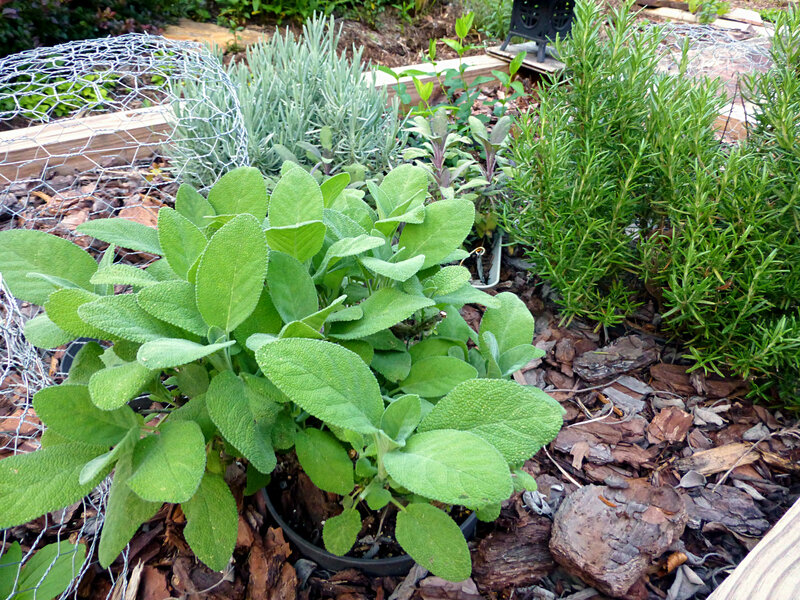 While some herbs, such as chives and sage, are perennials and stay alive year-round, many others, like basil and rosemary, are not considered perennials in our gardening zone (7b) because they die off in the winter and don’t come back. Usually. We got lucky with a warmer-than-normal winter and our rosemary plant (pictured on the right in the photo below) made it through, hooray! 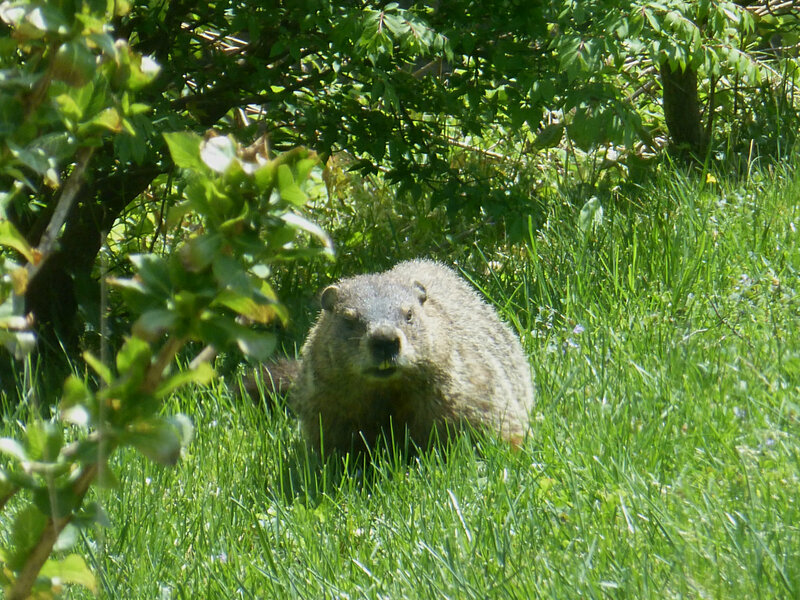 The groundhog (or woodchuck as some of you might know him) has been helping himself to hosta plants, hollyhocks, herbs, shasta daisies… Innkeeper Brigette obviously didn’t get the memo from last year when he ate every single shasta daisy. And not only does he eat our plants, but he also sometimes just chews things and decides he doesn’t want them after all, leaving plant parts scattered on the ground and causing Brigette to shake her fist at the air and let out a big AAAAAARRRRG, while the groundhog just stares and waits for her to put out more plants. So our poor parsley and dill are no more, but we’ve figured out what the groundhog does not like and added more of that. We now have two rosemary plants, for instance. So there, groundhog. Plus, notice the chickenwire cages? 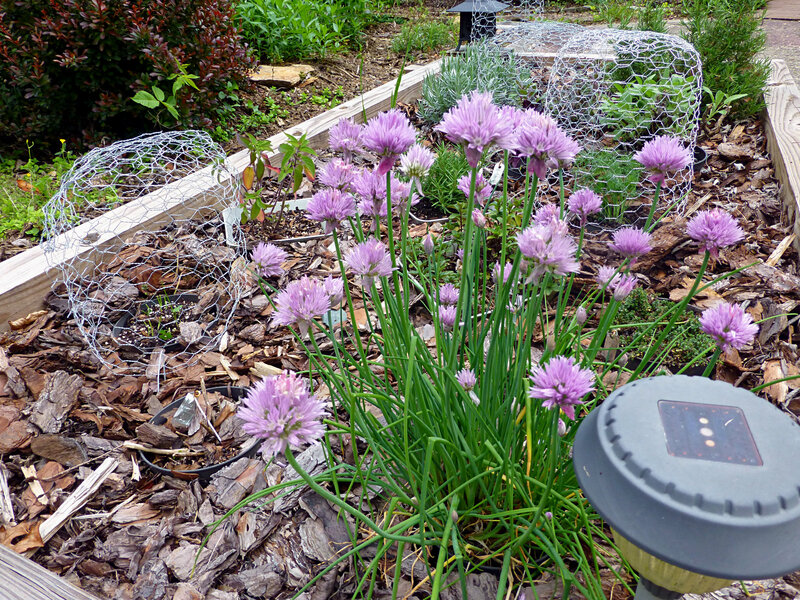 Thanks to Innkeeper Dave, the stuff that Brigette feels compelled to grow even though the groundhog wants it (I mean, it’s an herb garden…it NEEDS basil) is a little more protected. Hopefully, our basil, valerian and other herbs under cages will live to see another day. 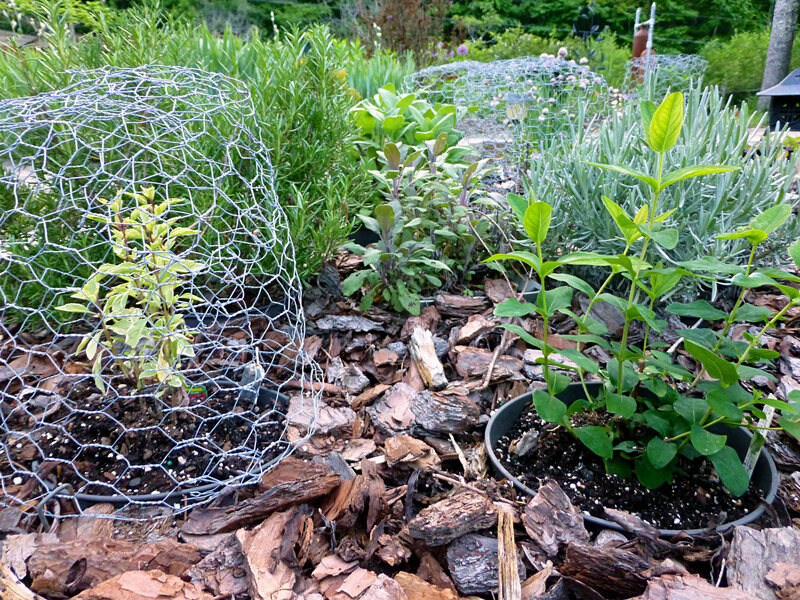 So you’ll see chickenwire around some of the plants in the garden this year, and now you know why. Deer? No. Rabbits? No. Groundhog. UGH. This entry was posted in Flowers at the Inn, Pinterest, Projects and tagged flora and fauna, garden spaces, improvements, Pinterest by Inn on Mill Creek. Bookmark the permalink.